Two bits of good news! 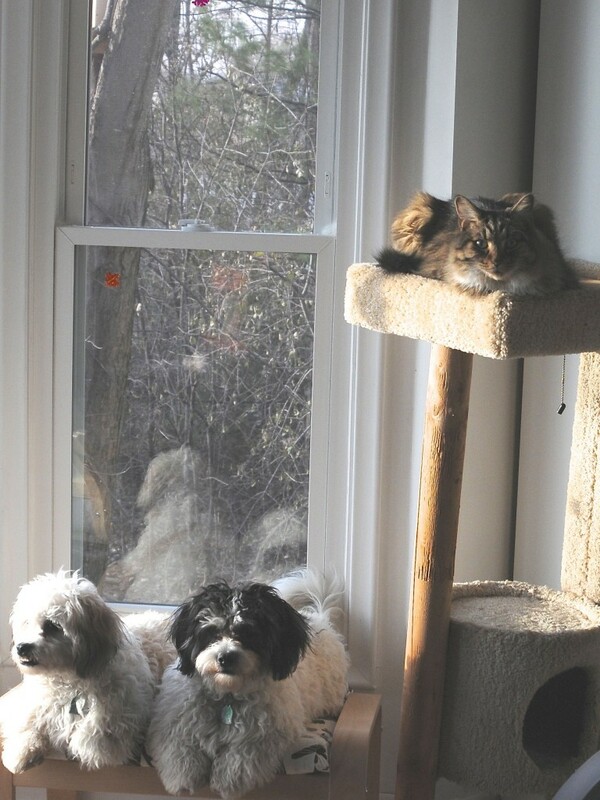 First, I’ve created a new networking opportunity with Critter Joe’s, a nifty site devoted to pets. Critter Joe’s posted information about my book Something Furry Underfoot on his site under Helpful Information! So check it out and all the other great things Critter Joe’s has to offer. Secondly, I’ve hooked up with www.ebooksoda.com to promote my book on their site, and in so doing, have lowered the e-book version of Something Fury Underfoot to $1.99! Now for the week’s post. 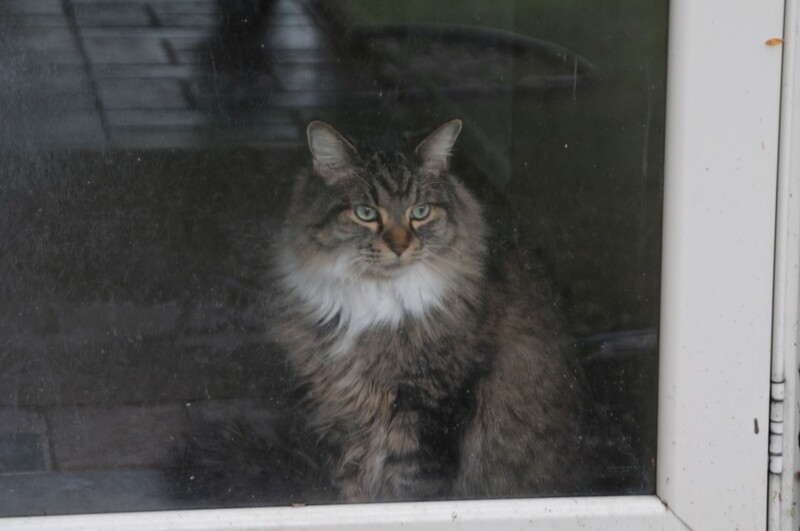 Purrkins appeared under our porch ten years ago, and he grew up with two dogs–Little Dipper and Dusty. Last August, after both of our beloved pups had gone off to heaven, we got two new puppies with boundless energy. Here’s what Purrkins looked like when he first saw the puppies. Purrkins checking out the new guys. As soon as the new pups came into the house, Purrkins headed for the closest hide-out he could find. Lucky for Purrkins, it took the dogs several days to discover this hiding spot. 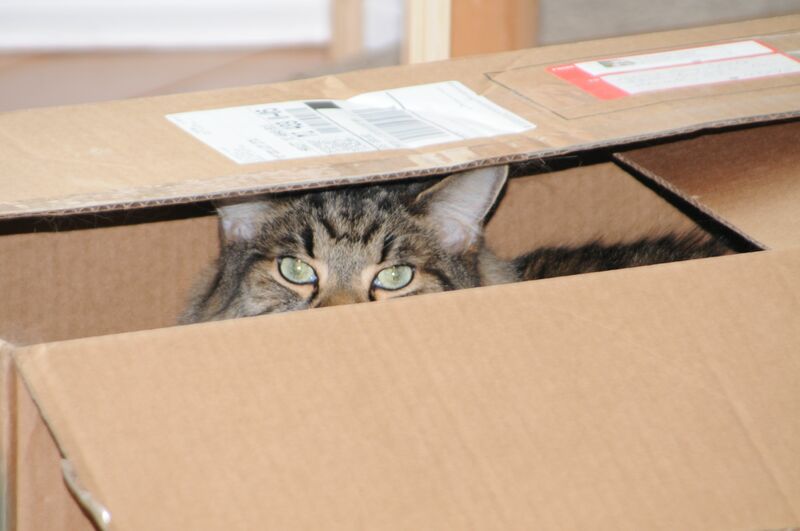 Purrkins hiding in his box. 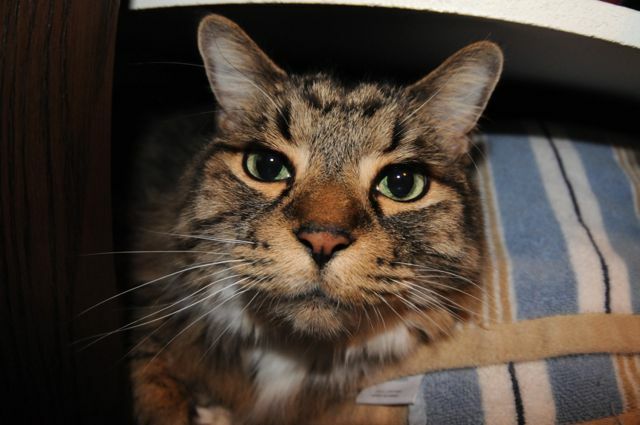 Another favorite hiding spot is the linen closet, but don’t tell Mark. Purrkins also found respite in a cat platform he’d ignored for years. The epitome of interactions between Purrkins and the two puppies. Purrkins also got his own feeding station, one raised up high enough that the pups could not bother him while he ate. Even with all these get-away places, over the course of several months, Purrkins began to lose weight. And when I finally stopped and thought about it, Winston and Snickers had gotten all the attention since last August. So I began trying to spoil Purrkins. 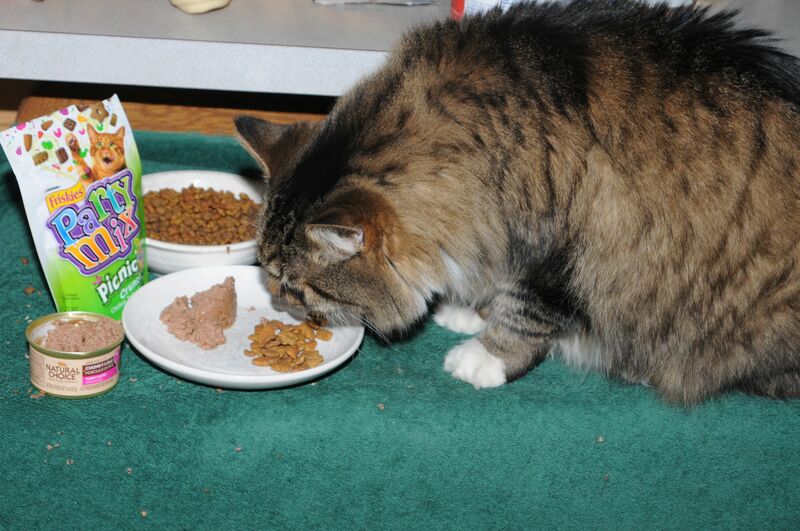 I started by buying him different kinds of canned cat food to make him feel special. Purrkins experimenting with new, better food. Some canned food was better than other. In fact, some he wouldn’t eat at all. 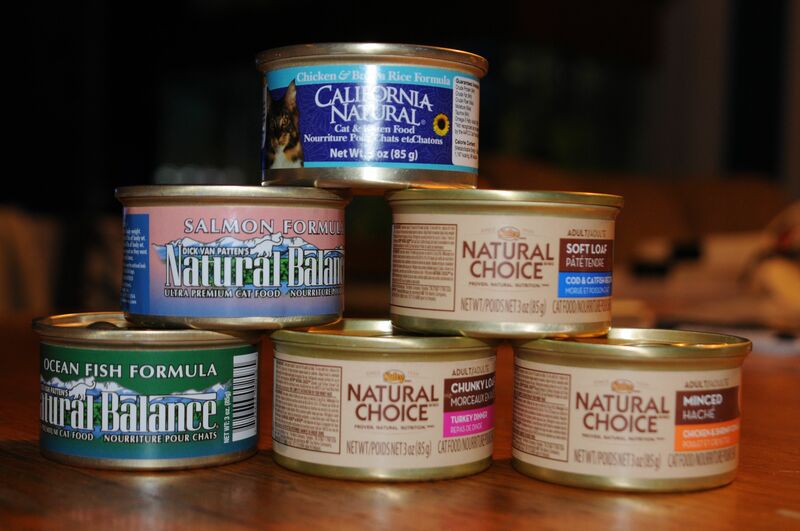 Various cans of food purchased for Purrkins’ dining pleasure. 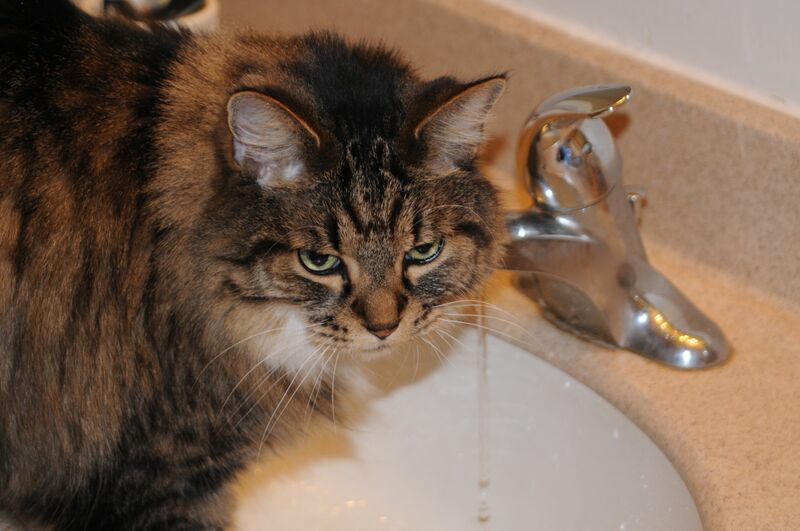 We also spent more time together getting fresh water from the bathroom faucet, another of his favorites. And I made time at night to play with Purrkins again, after the dogs were tucked away in the back bedroom area. 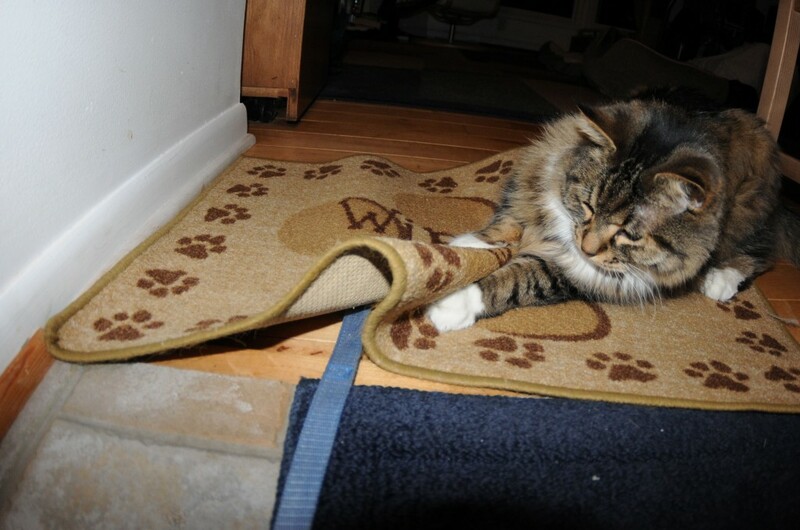 Play time with a dog leash dragged under a throw rug. Purrkins in box; dogs on their bed nearby. 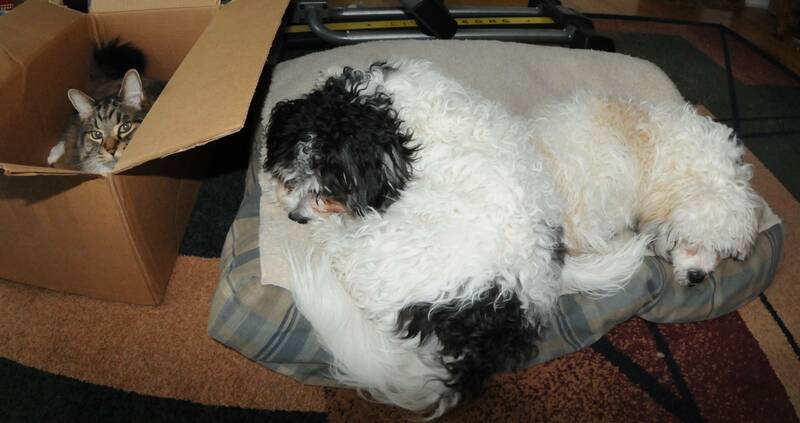 …he actually let Winston curl up with him for a nap! Winston snuggled up with Purrkins. 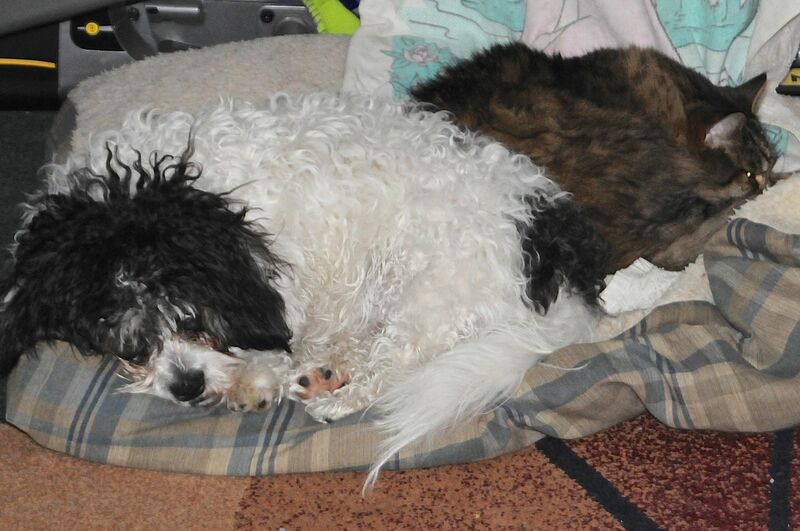 So I think all life is better for Purrkins, at least when the puppies are calm, if not sleeping. But just to be sure, I got him a new play tunnel the other day. 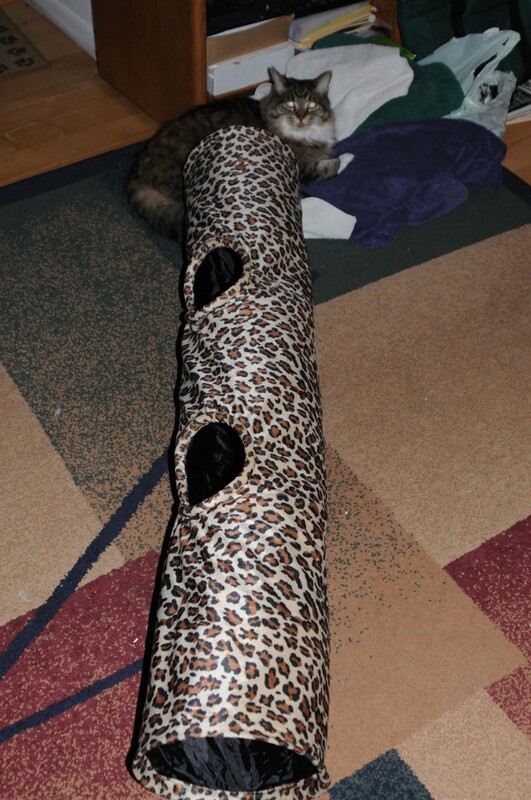 Purrkins with his new play tunnel. See, I knew that it’d take a while for Purrkins to get used to our energetic puppies, but I felt bad that I was a bit slow to realize the real impact on him. He’s nearly back to his usual weight again. And every night, when the puppies disappear to the back bedroom area for bed, Purrkins knows it’s our time to play.